Javier Gomez, a highly talented figure painter of long experience and excellent reputation, shares the secrets of his success in this accessible 'how-to' guide to painting miniatures. He takes the reader step-by-step through the whole process, from choice of materials (unlike other available guides it is not linked to any specific figure manufacturer) and preparation of the miniatures to basing and even advice on photographing the finished item. Techniques such as dry-brushing, ink-washing, shading and highlighting are all explained clearly with the help of step-by-step photographs and colour charts. 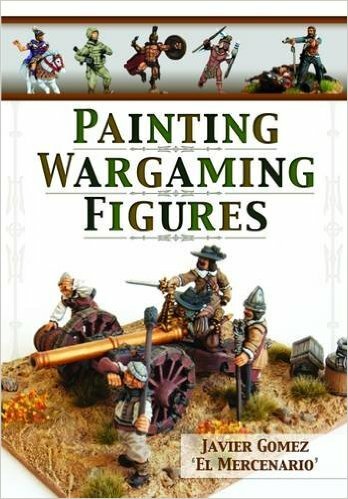 Specific case studies tackle a variety of useful subjects across all periods, such as mixing realistic flesh tones for different races; painting horses; guns and limbers; Medieval heraldry; Napoleonic uniforms; WW2 and modern camouflage patterns. Javier also clearly explains how these techniques and processes can be applied to all the major wargaming scales, from 40mm down to 6mm. Whatever historical period (or Sci-fi/Fantasy) and whatever scale the reader is interested in, this book is an invaluable source of practical advice and inspiration.